Let me start by what I don’t care about… I don’t care about the NFL commissioner’s apology for how he handled the initial offense. His first reaction was his real reaction. It wasn’t positioned based off of a public outcry or any political stance, it was what he believed was an adequate repercussion for the incident as he knew it to be in the beginning. That’s right, this isn’t something that just happened yesterday! Part of the video was revealed back in February 2014. They were both arrested. 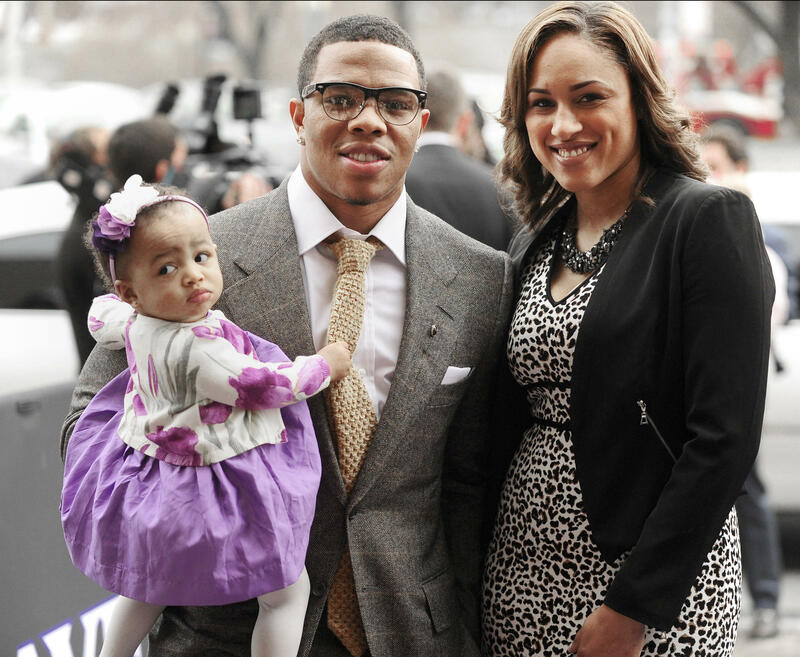 Ray Rice pleaded not guilty to assault charges back in May and was allowed to enter a pre-trial intervention program to avoid prosecution. But what’s most telling about the whole situation?? …They married a month later. That’s right, March 2014 they exchanged vows filled with words of love and commitment and ventured into a marriage that is a union between two people who were physically violent towards each other just a month prior. I also don’t care about Ray Rice being suspended indefinitely from the Baltimore Ravens. It was already clear that he had knocked his then fiancée unconscious prior the elevator footage being leaked. Yet, somehow when people lay eyes on the actual physical offense, it changes the outcome?! We already knew she was laid out unconscious from a domestic altercation in February. The actions taken yesterday are to no benefit to anyone but those that care about salvaging the image of the Baltimore Ravens. It was a PR nightmare but fortunate for them they can just dismiss the “problem” and go back to business as usual. Meanwhile there in lies two lives that are completely turned upside down for an incident that happened in February and all parties that are involved now also knew full well about back then. So no, I’m not on the “destroy Ray Rice” bandwagon. Especially since some of the same people coming for Ray Rice’s head are still heavy in the Chris Brown fan club. Yeah, OK. So what DO I care about?! Glad you asked. I care about the woman who was able to write this. I care about the woman who found herself loving a man that would lay his hands on her. I care about a woman who would go so far to marry a man a month after being knocked unconscious by him. I care about a woman who has been revictimized in the media and all anyone can speak about is her husband losing a contract. I care about the fact that they both parent a young daughter who has everything to lose in this situation. But my caring doesn’t stop with her, although she’s my focus. 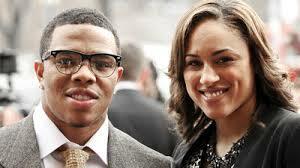 I care about what experiences have led to Ray Rice believing it’s okay to physically assault the mother of his child. It’s so easy for people to toss someone away as a monster without any thoughts of “how can I help?” Or better yet, facing the issues that they have with the same amount of disdain. We’re so judgmental and reactive! I was intentionally quiet about the issues because I needed to figure out exactly how I felt about the situation void of the media frenzy. It’s not cut and dry with me. At the core, we’re dealing with two people who lack an understanding of what true love is. We’re dealing with a husband and wife who are responsible for a baby girl. It’s a very personal matter that has become public and now every other flawed person has an opinion about it. It’s my hope that I’ll use my life, my words, and my opportunities to make sure that there’s a movement of women who will know their value in God. Women who will demand the love and respect of a man and will have a community of people who will reinforce their worth through their own good works. I don’t have all the answers. I’ve never found myself in an abusive relationship. But what I do have is a heart to steer young women away from ever ending up in that situation and love up on women who do find themselves in the arms of an abusive man and show them a different way. Our society teaches us to build more jails and less schools. So in turn, we take on that same mindset in every area. Punishment over education. We can debate what should be done to Ray Rice forever. I’m not interested in that. My efforts are better used trying to make a difference in young women’s lives so that they have better examples of how truly incredible they are in God’s eyes and won’t fall victim to situations like this. They’ll, in turn, marry men who will be examples of real men to their sons and therefore not suffer the fate of Ray Rice and countless other men. Pray for these individuals families. Pray that God restores them to a life better than the one they knew before… whether it be together or apart. It’s by no coincidence that this topic marks the anniversary of a blog that is geared toward helping women embrace their beauty, renew their minds, and go after the purpose that God has for them. This story just confirms that there is a need for Tuesdays with Bianca and its headed in the right direction. For that, I’m grateful! I’m so conflicted about this total issue in so many ways, but I just digress in general, which is why I haven’t posted ANYTHING about it and likely won’t. But congrats on your year anniversary as #TuesWithBianca. As with ALL YOUR BLOGS, this one is no exception to showcasing the QUALITY of your skill as a writer. Your ability to articulate your emotions through words is a beautiful thing. Keep up the great Kingdom work. As I’ve told you before, B&F is BLESSED to have you reppin’. LOVE YOU BUNCHES!!!!!!!!!!!!!!!!! Thank you sis! Love you too! It’s a rough topic so I’d love to hear your thoughts on it at some point. And there’s no doubt that I’m blessed to be a part of B&F! If it wasn’t for you all I wouldn’t be doing half of what I’m doing now! Thank you for the support! I truly appreciate it!